For more than 30 years, William Nicholson has been an integral member of The Congress Companies management team. Carrying on in the tradition of his father and uncle, the founding members of the firm, he is the second generation of the Nicholson family to build on the company's legacy of planning and constructing high quality buildings and lasting client relationships. As the Chief Executive Officer of The Congress Companies, Bill leads the executive management team and oversees all facets of the business. His dedication to listening to client needs, ensuring effective planning, delivering outstanding construction outcomes, and ability to forge strong client bonds have set the tone for the company's Commitment to Quality. Bill maintains oversight of all services provided by Congress, including Pre-Construction activities. His firm belief that the best construction jobs are planned well in advance of mobilization of work has shaped the firm's signature approach to Pre-Construction Strategy. In his role, he remains closely involved with the firm's projects, receiving detailed reports from Project Managers who report directly to him with progress. Additionally, Bill contributes to business development activities, negotiation of new client contracts, and supervises Pre-Construction, estimating, and true value engineering activities. 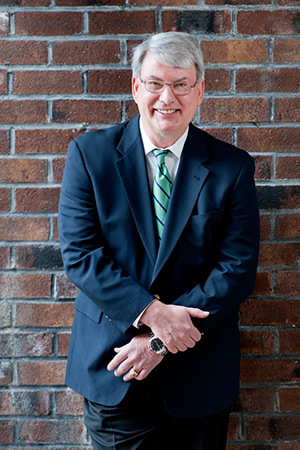 Bill has served as Principal-in-Charge on more than 30 construction projects in the Senior Living/Health Care, Multi-Family, and Educational market sectors. Since 1995, he has also served as the Chief Executive Officer of The Congress Companies' property management group, PCE Management, LLC, where he is responsible for overseeing the management of elderly housing and commercial properties. Bill is a graduate of Babson College, where he earned a Bachelor's degree in Business Administration. Peter Doran joined The Congress Companies as Chief Estimator in 2009 bringing with him 20 years of construction industry experience both in the U.S. and the U.K. He was promoted to Director of Pre-Construction Services in 2014. In this capacity, Peter provides total pre-construction management including construction quantity surveys and analysis, projects constructability and means and methods evaluation, budget preparation and bid analysis, specifications and drawings review as well as construction scheduling, bid solicitation and evaluation, contract negotiations, cost management and reporting. Additionally, he lends his expertise to the firm's Project Managers to ensure overall cost, quality, schedule and delivery commitments are met or exceeded. Continuing to serve as Congress' Chief Estimator, Peter plays a key role in the pre-construction process by listening to the business and building needs of clients and translating them into a strategic budgetary plan. Early in the pre-construction process, Peter provides accurate conceptual and schematic cost estimates, value engineering, and building systems alternatives. His involvement verifies that each project can be completed on budget and he is essential in assisting Congress' clients in securing proper financing. In addition, Peter is responsible for all estimating activities of the firm, including design development and final estimates of cost as designs progress. From coordination of budgeting, obtaining and evaluating subcontractor pricing, and ensuring compliance with scopes of work, Peter's responsibilities are instrumental in moving projects successfully from pre-construction to the construction phase. Prior to joining Congress, Peter held the position of Senior Estimator for Suffolk Construction, and the Lee Kennedy Company, both of Boston, MA. In these roles, Peter was responsible for performing pre-construction service for owners and architects including budget presentation and construction feasibility as well as presenting value engineering options. Additionally, Peter prepared detailed conceptual estimates and quantity surveys, reviewed historical cost data, and created project schedules. Peter's expertise has been instrumental in securing notable construction projects including the $110 million Legacy Place Shopping Center project in Dedham, MA, the $19 million New England Regional Council of Carpenters Headquarters office building in Boston, MA, and the $65 million Widener Library Renovation Phase I and II at Harvard University in Cambridge, MA. Peter earned his Construction Technician Diploma from Bolton Street College of Technology, Dublin 1, Ireland and holds a Massachusetts Construction Supervisor License. He is an Associate of the Chartered Institute of Building, Ascot, England. 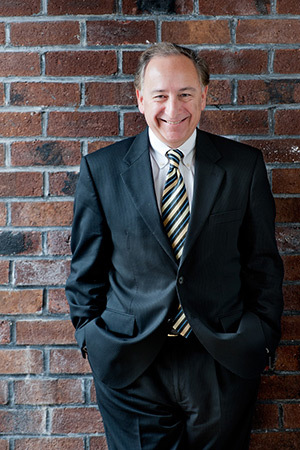 A financial expert with nearly 30 years of experience in the construction industry, Ed Tabor is an accomplished, results-oriented Financial Officer with expertise in financial restructuring, cost management, and mergers and acquisitions. He has a proven track record of success instituting cost saving measures as well as process improvement and is highly skilled in increasing profitability and cash flow. For nearly 20 years, Ed held the position of Controller and Treasurer for Deck House, Inc. of Acton, Massachusetts, a builder, designer, and manufacturer of panelized homes using post and beam construction. At Deck House, Ed led the financial due diligence and bank financing efforts that led to acquisition of Acorn Structures in 1995 and the subsequent restructuring of the merger of these two companies. Ed helped reduce the company's investment and market value risk in model homes by negotiating nine joint venture model home agreements that created off balance sheet financing for these models, reducing investment in model homes from $3.5 million to $1.3 million. 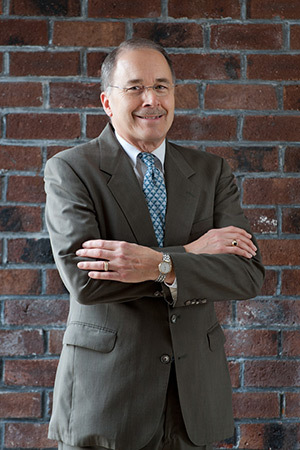 Ed's subsequent role was as Vice President of Finance and CFO for Empyrean International, LLC of Acton, the designer and manufacturer of Deck House, Acorn Home, and Dwell Home. In his role at Empyrean, Ed was responsible for the supervision of accounting, human resources, payroll, mailroom, reception/switchboard and IT staff. He managed and strengthened financial and administrative processes as well as identified strategic and financial opportunities to support increased customer value, growth, profitability, and cash flow. One of Ed's significant achievements at Empyrean was spearheading the financial restructuring of the company to return to profitability, improving gross profit margin by 17% and reducing SG&A expenses by 24%. Early in his career, Ed held the position of Staff Accountant and Senior Auditor at Price Waterhouse & Company in Boston, Massachusetts. He also held the position of Independent Sales Agent for AFLAC, a provider of supplemental employee benefits, in Waltham, Massachusetts. Ed joined The Congress Companies in November 2011 in the role of Chief Financial Officer. He earned a Bachelor's degree in English from Wesleyan University in Middletown, Connecticut and a Master of Business Administration degree with a concentration in Accounting from Babson College in Wellesley, Massachusetts. Ed is also a licensed Certified Public Accountant. Bringing over 35 years of construction industry experience to his position, Stephen rejoined The Congress Companies in 2013, having served as a Project Executive at Congress from 1990-2004. Prior to rejoining Congress, Stephen spent five years as a Senior Project Manager for Walsh Brothers, Inc. of Boston. During his tenure with Walsh Brothers, he was responsible for managing an onsite construction management project at the Gillette World Shaving Headquarters in South Boston. The project included a new front entrance and lobby, and a 500,000 SF renovation of office space, research and development laboratories, and clean rooms. Stephen was responsible for estimating, preconstruction, logistics, and value management, functioned as the liaison between the owner and the architect, and directed Walsh Brothers’ staff and subcontractor forces. Prior to 1990, Stephen served as a V.P. of Operations at the Connolly Brothers, Inc., where Stephen oversaw all field construction operations and built delegate teams to run construction projects. Early in his career, Stephen worked with the Green Construction Company of Iowa and their subsidiaries and was trusted in every capacity from Chief Cost Estimator to President. As President of Concrete Plank Company, he oversaw manufacturing operations, marketing, engineering, cost estimation, office operations and erection of architectural product lines. With Khodari-Intergreen Company, Stephen managed the construction of a $24 million building complex, consisting of 152 apartments on a 14-acre site with recreational amenities, sewage and water treatment plants, and telephone and electrical systems. Stephen’s decades of experience with every aspect of the management, cost, and material production and supply of construction projects make him a key member of the Congress team. As Project Executive he is the firm’s primary customer contact and interfaces with Owners and Architects for selected projects. He is also responsible for projects’ overall performance, final cost, and schedule. Stephen earned a Bachelor’s degree in Technology, Construction Technology from the University of Northern Iowa in Cedar Falls, Iowa. With over 13 years of experience, Jeffrey was welcomed to the Congress team in 2014 as Director of Business Development. A results-oriented professional, Jeffrey's work experience spans sales, operations and brand development for several nationally renowned organizations. His ability to negotiate, lead and communicate effectively is critical to his position at Congress. In this role, Jeffrey is responsible for Congress' business development, including prospecting new business opportunities and cultivating and maintaining client relations and growth within the firm's target markets throughout New England, New York and New Jersey. At the start of his career, Jeffrey worked as an Investment Broker in Institutional Sales for Bear, Stearns & Company in Boston, MA and later joined Morgan Stanley, Dean Witter, Discover & Company, also in Boston, as an Account Executive in Investments. Jeffrey served as Director of Business Development for Bruss Construction, Inc. of New Hampshire and played an integral role in the formation of its subsidiary, Integrated Building Energy Associates, LLC. His responsibilities included sales management, maintaining and expanding relationships with clients, developers, architects, municipalities, nonprofits and private educational institutions while strengthening the company brand and reputation as the sustainable builder of choice in New Hampshire. 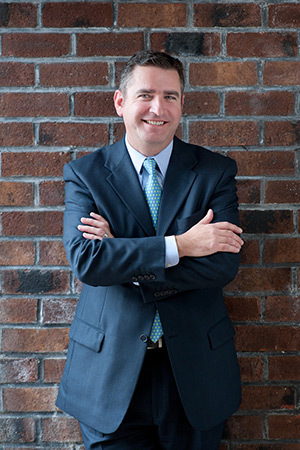 Before joining Congress, Jeffrey was the Director of Sales and Marketing for PeakCM, LLC, a construction management firm with offices in Vermont and Florida, where he was responsible for expanding and maintaining relationships with clients, developers, architects, hospitality management firms, equity investors and stakeholders for projects ranging from $5M to $50M. He also initiated company-wide marketing efforts, designed and produced the company's marketing collateral, and developed negotiated commercial construction opportunities to ensure sales forecasts and profitability goals were met. 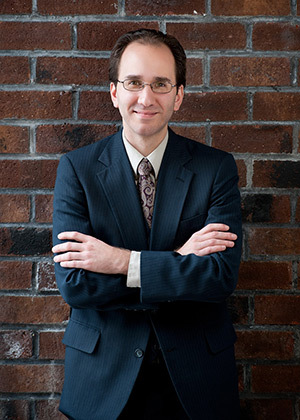 Jeffrey earned a Bachelor's degree in History from Elon University in Elon, NC. He possesses a Master's Certificate in Sustainable Design from Boston Architectural College and is a graduate of the Associated Builders and Contractors of New Hampshire and Vermont Future Leaders in Construction program. 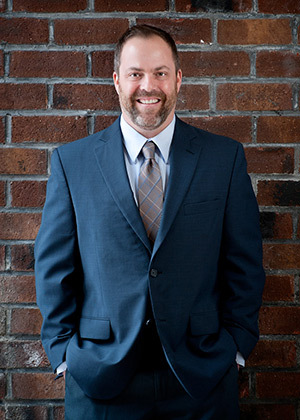 He currently sits on the Board of Directors for the New Hampshire Chapter of the United States Green Building Council. Kim Jackson joined The Congress Companies in 2013 as Executive Assistant and Office Manager, with extensive experience in both positions. With strong organizational, interpersonal and management skills and the ability to multitask in a fast-paced environment, Kim's talents are an asset to the Congress team. 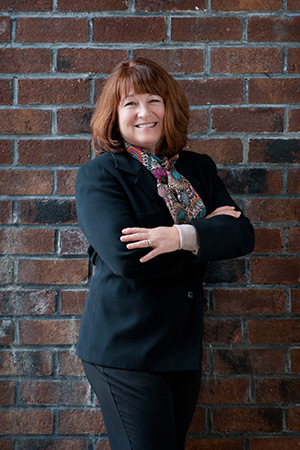 Kim's responsibilities include maintaining the executive calendar, travel and administrative support for the CEO, coordinating daily functions and operations with Project Managers, Accounting and Estimating Departments, supervising and training the Administrative Staff, and overseeing the production of subcontractor contracts, purchase orders, insurance, bonds and correspondence. She also coordinates marketing and website activities and manages the IT performance for both the corporate office and remote locations. Prior to joining Congress, Kim worked for 13 years as an Executive Assistant and Office Manager for iMarc, a full-service digital agency located in Newburyport, MA where she was responsible for developing and maintaining the customer database and implementing all activities for outbound marketing campaigns. She assisted all departments with facility management, banking, coordinating internal and external events, and overseeing the calendars and schedules of company officers. Kim began her career working as a Project Administrator for Exodus Communications, an Internet hosting service and Internet service provider to dot-com businesses located in the Boston area. Her duties included identifying new business opportunities, generating lead information reports used by the company sales force and providing administrative support to the Vice President of Corporate Sales. Kim received a Bachelor's degree in Business Administration from the University of Massachusetts Amherst in Amherst, MA. Joshua Roccapriore joined the Congress Companies team in 2010 holding positions as Assistant Superintendent, Project Engineer and Assistant Project Manager. As Assistant Superintendent, his responsibilities included organizing and maintaining the field office, the management, coordination and scheduling of subcontractors, the expediting of materials and equipment, and project documentation. He also oversaw the management of Furniture, Fixtures and Equipment (FF&E), which involved receiving, inspecting, inventory control and installation. As Project Engineer, Josh’s responsibilities expanded to also include overseeing submittals and change orders as well as assisting with project management duties. As Assistant Project Manager, Josh was responsible for the management of submittals, the expediting of materials, schedule updates, quality control documentation, changes in the work, and other construction management and engineering functions. In 2016, Josh assumed the role of Project Manager at Congress. Josh’s strong time management, supervisory, and problem-solving skills, combined with his hands-on technical experience, are great assets to his position as Project Manager. Josh began his career working as a cabinetmaker for Roger’s Sash and Door Company in Newington, CT. While there, his responsibilities included the building of custom doors, cabinets and mantles, as well as training and supervising new shop employees. He went on to hold a position as a framer for East Construction in Oakdale, CT. Prior to joining The Congress Companies, Josh worked as a Technology and Engineering Education Teacher in Industrial Arts for the Consolidated School District of New Britain where he taught Wood Shop, Construction and Automotive courses. Josh received a B.S. degree in Education from Central Connecticut State University in New Britain, CT where he graduated with honors and was inducted to Epsilon Pi Tau, the CCSU chapter of the International Honor Society for Industrial Arts and Vocational Industrial Education. He holds an unrestricted Massachusetts Construction Supervisor’s License.